Some of you already know , Hillbilly Casino have cancelled the European Tour due to health problems , that means they can´t be ready to play at the Psychobilly Meeting, we wish them a speedy recovery and hope someday we can have them at the festival . Bad news bring good news and we decided to replace them for KDV DEVIATORS , with Koefte De Ville upfront , the Bside project of Mad Sin singer. A good choice to see this great band with a brand EP » Me and Mr. Hyde «on Just for Fun Productions, 4 amazing tracks you can´t miss ! Take a listen ! DEVIATORS COMING……..DEVIATORS ARE HERE !!!!! 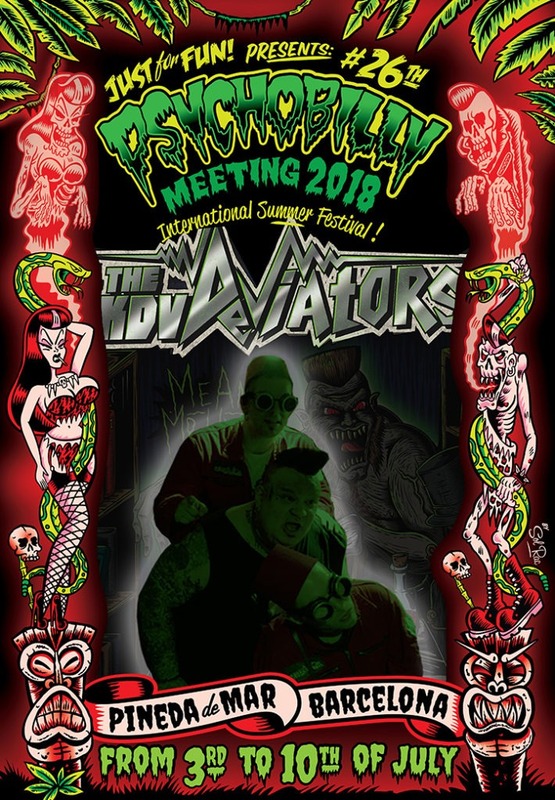 Muchos de vosotros ya lo sabréis , Hillbilly Casino se han visto obligados a cancelar su tour Europeo por problemas de salud , así que también afecta a su actuación en el Psychobilly Meeting , desde Just For Fun les deseamos una pronta recuperación y emplazamos su visita para otro año . DEVIATORS COMING …… DEVIATORS ARE HERE !!!! !